The island of Trinidad, the larger of the two, has an area of 4,828 square kilometres (1,864 square miles) and is situated at 10.5 degrees north of the equator. Trinidad has a mountain range running along the north coast of the island with the highest peak rising to 940 metres (3,085 feet) and rolling hills in the south of the island. 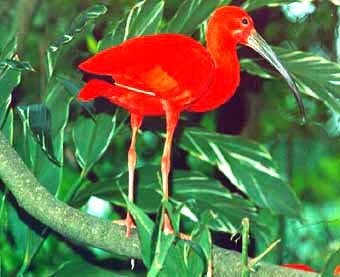 Much of the north coast is densely forested and is home to a number of wild animals. Many of the island's more popular beaches are located on the north coast. There is a flat central plain where sugar cane is grown and much of the island's wet lands can be found. Tobago is 300 square kilometres (116 squaremiles) in area and is situated just 32 kilometres (20 miles) off the north-east coast of Trinidad, 11 degrees north of the equator. Tobago has a central hilly range with a flat area in the south and west of the island where muchof the tourism has developed. The capital of Trinidad and Tobago and the main centre of government is Port of Spain, which is situated in the north-west of the island of Trinidad. San Fernando, the second largest city in the country, also situated in Trinidad, is considered "the industrial capital" of the country. The principal administrative centre of Tobago is Scarborough. This is situated in the south of the island. from June to December. The annual rainfall is approximately 2,000 mm and the average number of hours of daylight is approximately 11 hours per day. 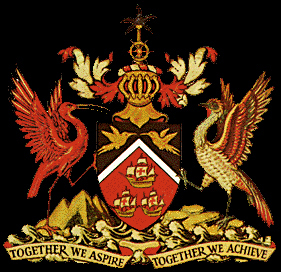 Trinidad and Tobago is a republic within the Commonwealth, with a president as Head of State. An electoral college consisting of both Houses of Parliament elects the President. Executive power lies with the prime minister and the Cabinet. A bicameral Parliament whose normal term is five years exercises legislative power. The date of elections can be advanced if the ruling party dissolves Parliament or if it receives a vote of 'no confidence" in Parliament. The 36-member House of Representatives are elected by universal adult suffrage. The Senate's 31 members are appointed by the president: 16 on the advice of the prime minister; 6 on the opposition leader's; and 9 at his own discretion. Tobago has a separate House of Assembly, consisting of 1 2 seats, which controls some of the island's domestic affairs. consists of the High Court of Justice and the Court of Appeals. The Chief Justice and 10 Puisne judges represent the High Court. of the Petty Civil Courts and Courts of Summary jurisdiction is conducted. The Prime Minister, Basdeo Panday, of the United National Congress (UNC) political party. Our National Motto as you can see is written on it at the bottom. elements of the Earth, Water and Fire which encompass all our past, present and future; and inspire the people of Trinidad and Tobago as one united, vital, free and dedicated. The honor of being chosen as our National flower goes to a wild, forest flower called the Chaconia also known as the "Pride of Trinidad and Tobago" and "Wild Poinsettia." 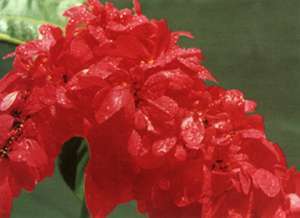 The Chaconia is an indigenous flower known by its long sprays of magnificent vermillion. Coincidentally, this flower blooms on every anniversary of our Independence Day (August 31, 1962). For us, the Chaconia represents the imperishability of life and the continuity of our nation. The Chaconia belongs to the family Rubiaceae and owes its botanical name, Warszewiczia Coccinea to the Polish-Lithuanian plant collector, Joseph Warszewicz. The title "Chaconia" was given to it in honour of the last Spanish Governor of Trinidad, Don Jose Maria Chacon (1784-1797). and the Cocrico of Tobago.